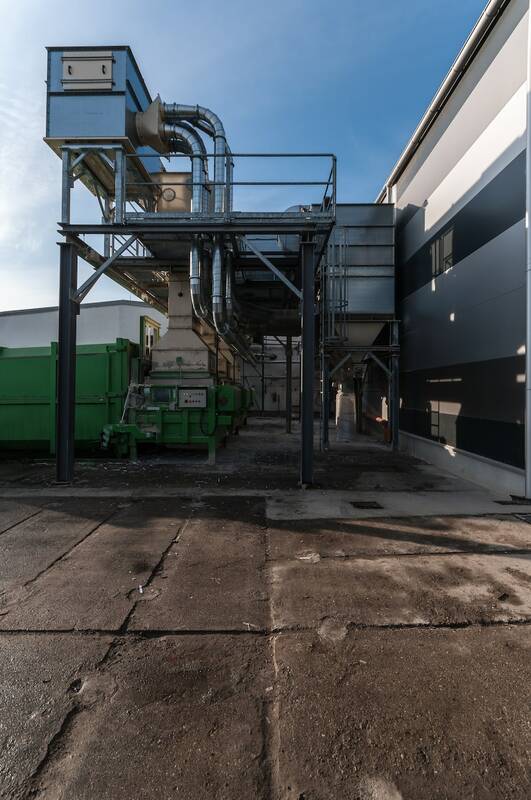 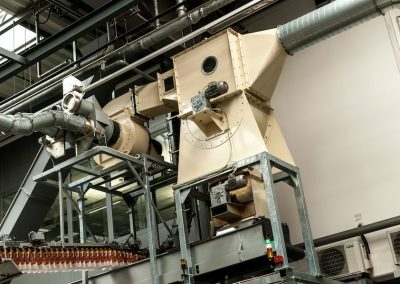 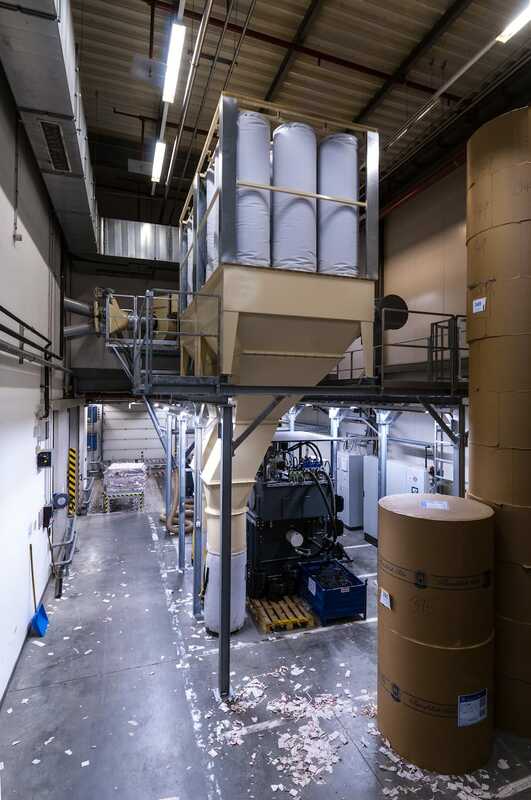 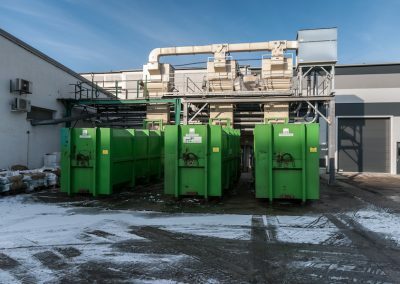 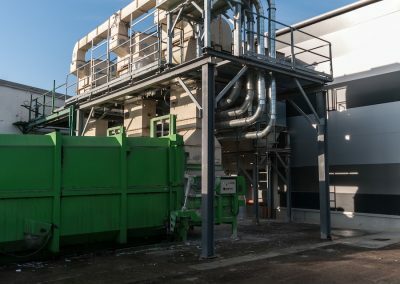 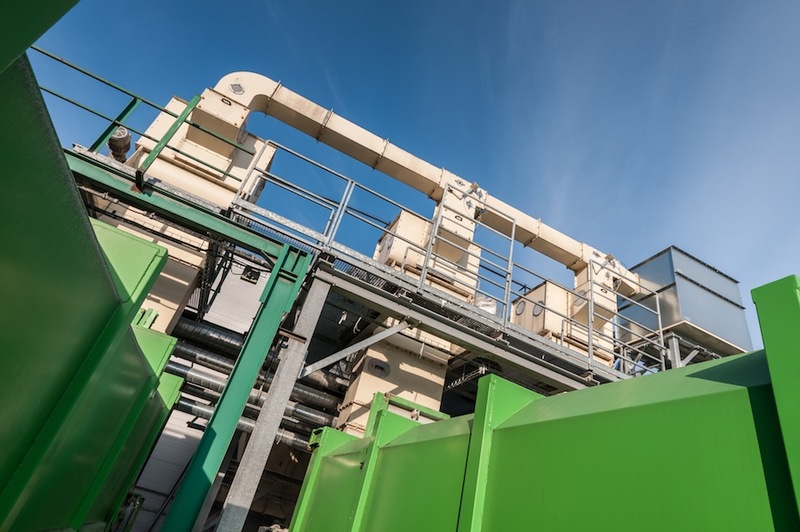 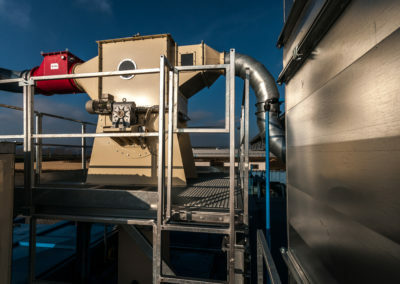 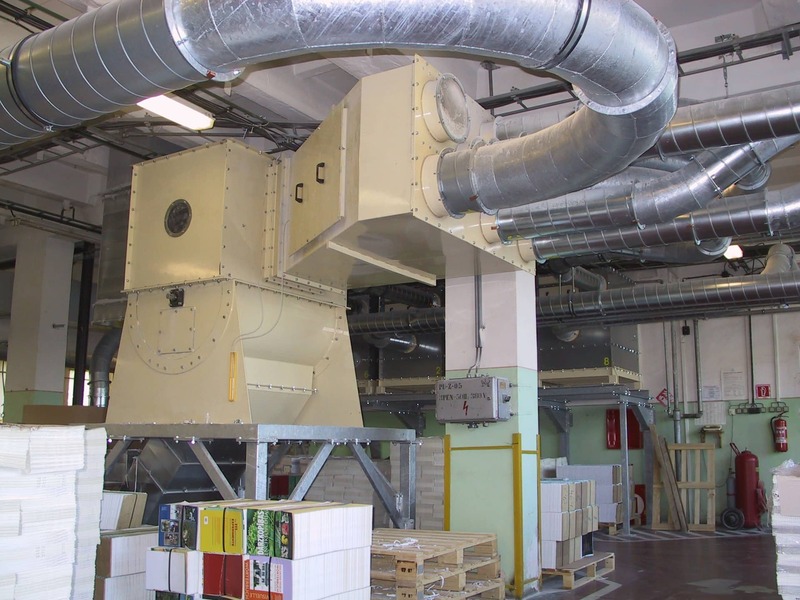 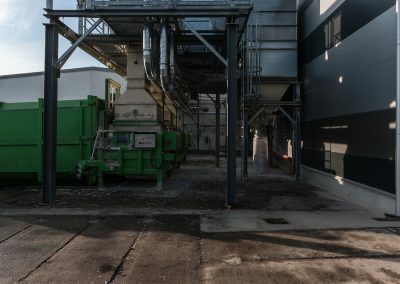 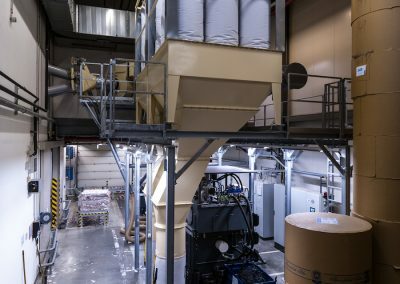 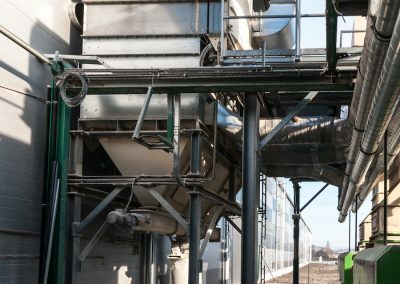 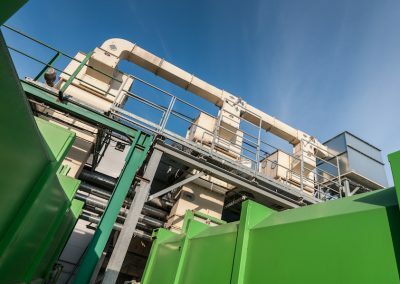 Paper waste and dust extraction is utilized in paper industry for production lines, and machines for producing books, magazines, publications and book jackets. 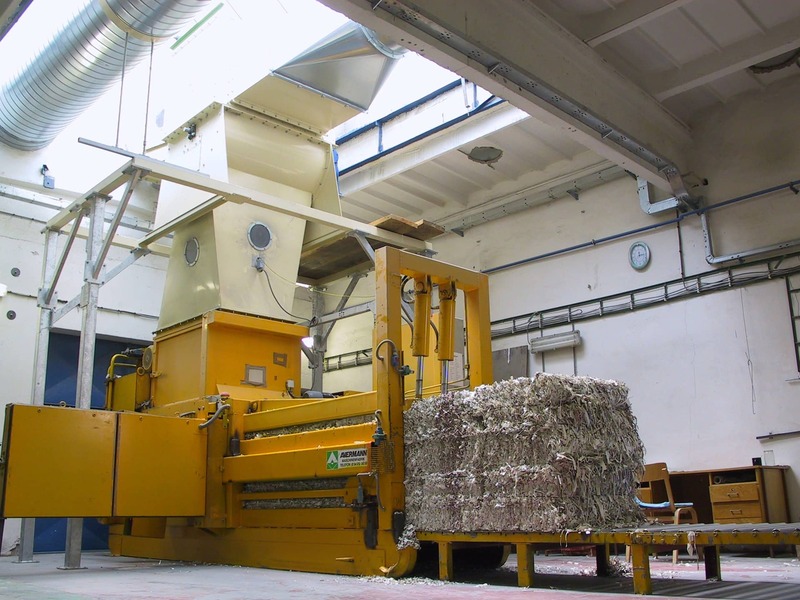 Extraction devices extract paper waste such as trims, cuttings, cut-outs, confetti, paper strips or continuous belts. 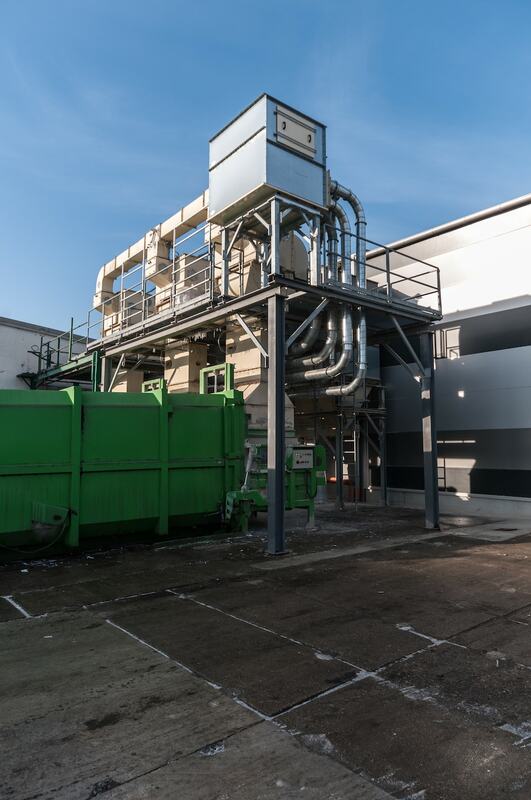 High volumes of extracted paper waste require efficient extraction system. 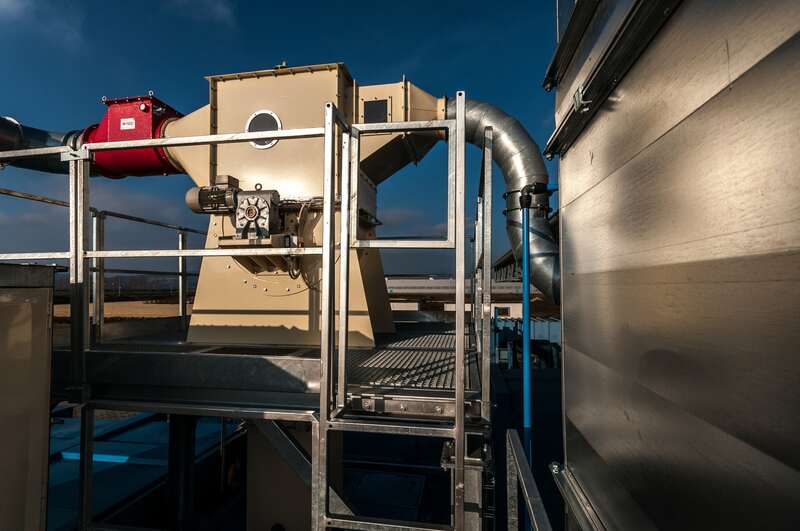 In some cases, efficient extraction system with negative pressure is necessary for proper production capabilities. 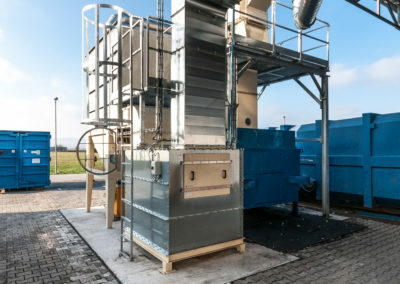 Without air extraction, production would not be possible. 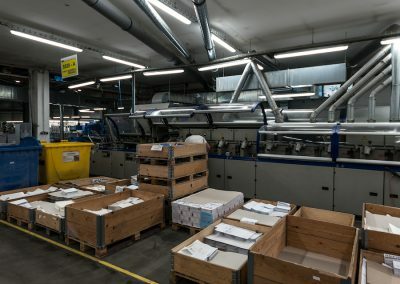 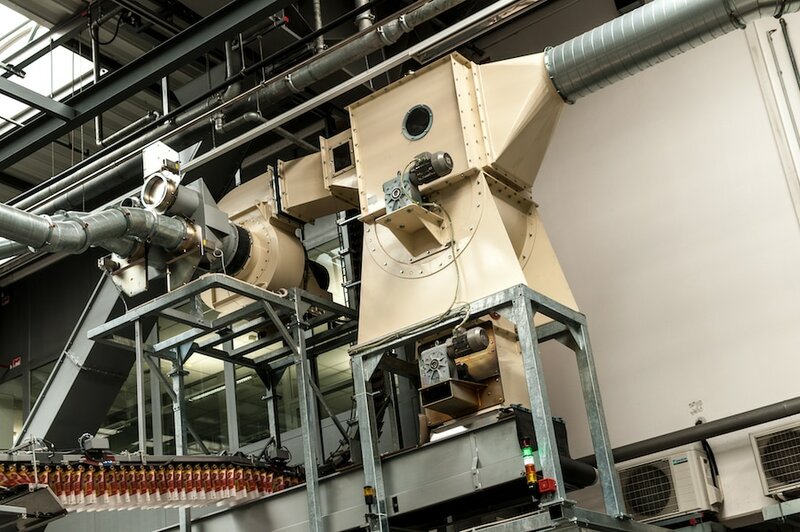 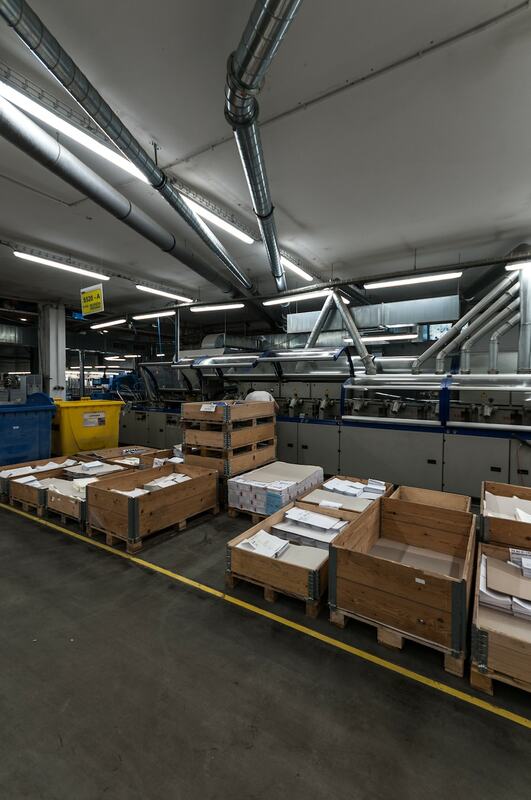 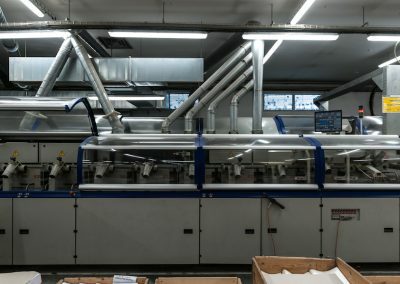 In most cases in the printing industry, air extraction is carried via central extraction system that connects individual machines into one central filtration system. 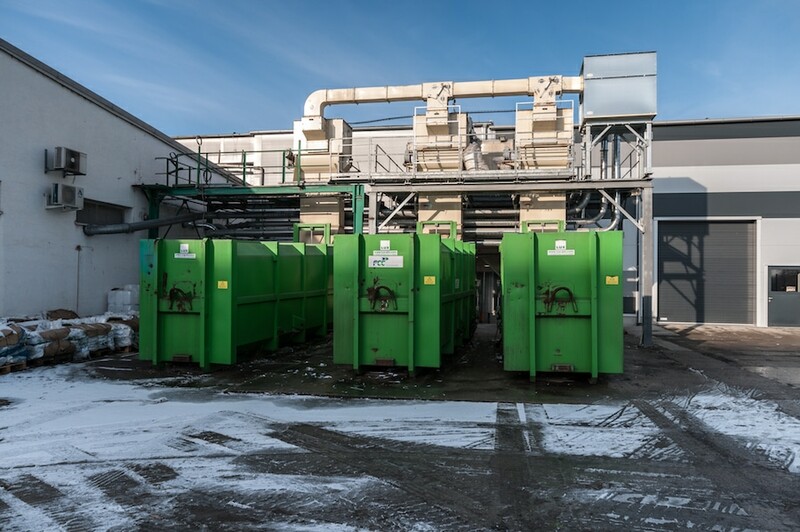 The woodworking machines are then grouped based on required exhaust power and connected to the central exhaust air ducts and CARM GH-ZLD or CUMA D-ST filtration device with prepended rotary separator. 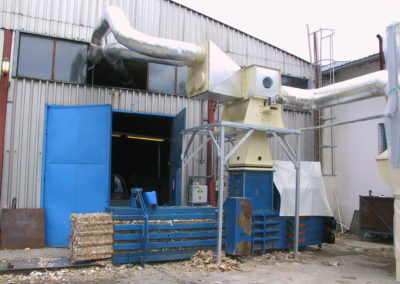 Each woodworking machine has different requirements for extracted air volume, exhaust power in the socket and for the amount of negative pressure. 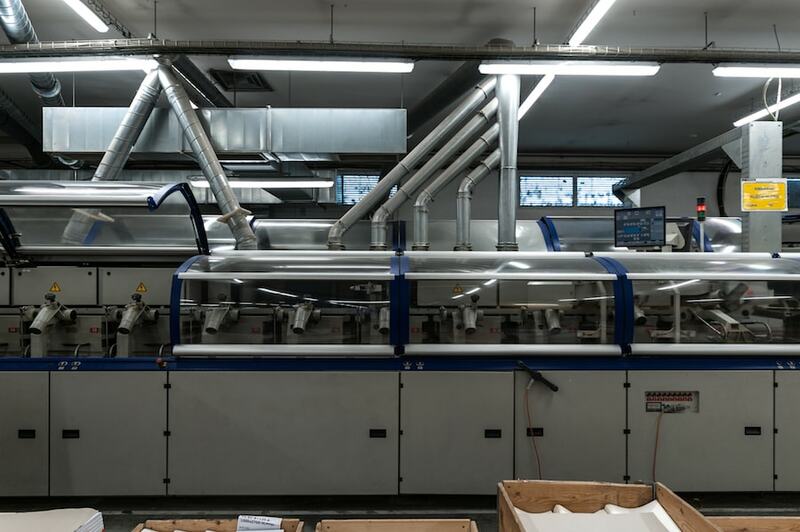 The dimensions of air ducts, filtration device and fans are always adjusted for each specific printing plant application. 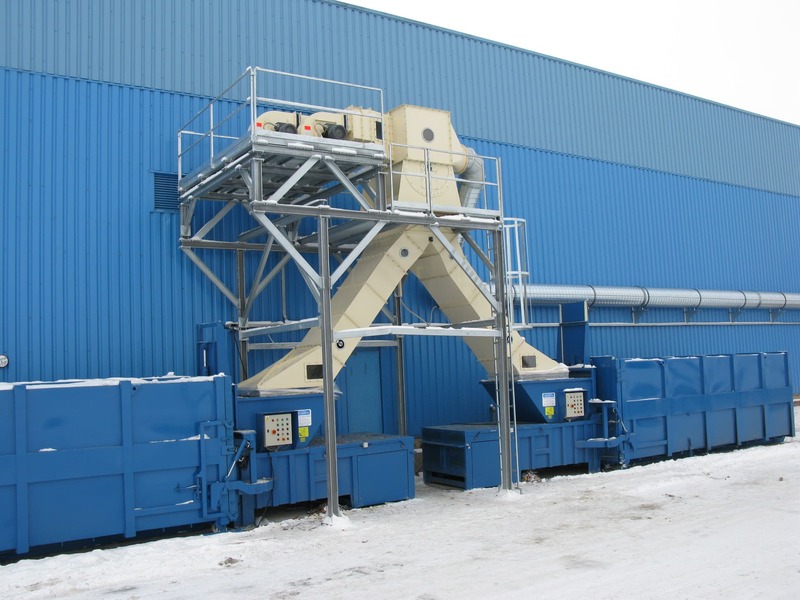 Due to the variable nature of paper waste, there is a prepended rotary separator installed in front of each filtration device. 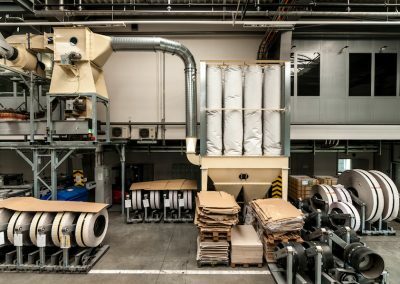 Rotary separator separates paper trims, cuttings and cut-outs from paper dust, because each requires different waste processing. 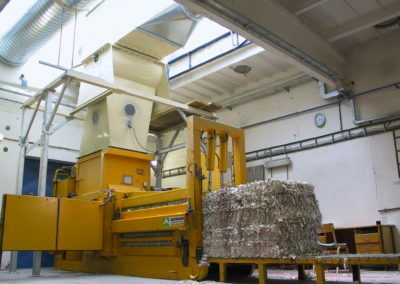 Paper trims, cuttings and cut-outs are processed with baling press located directly below the rotary separator’s hopper. 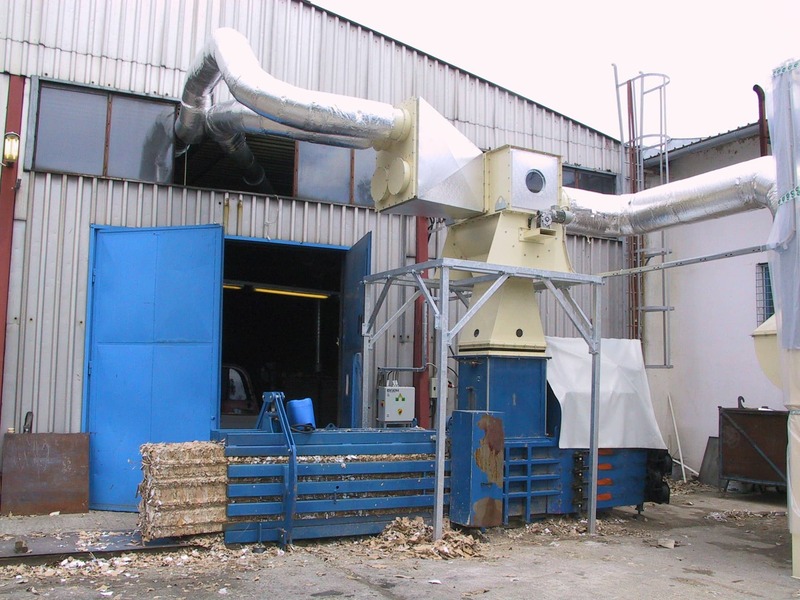 Paper dust, on the other hand, is processed with briquetting press situated below the filtration device. 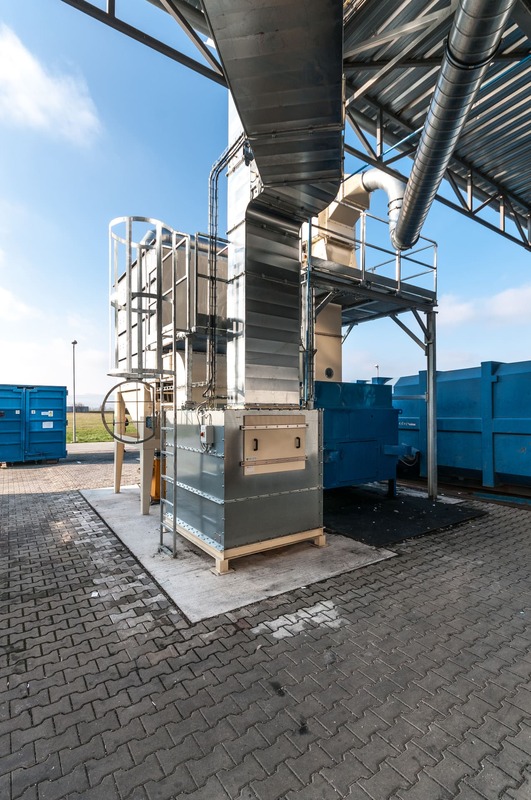 We design our filtration devices with filtration media regeneration using compressed air counterflow to ensure continuous exhaust power distribution. 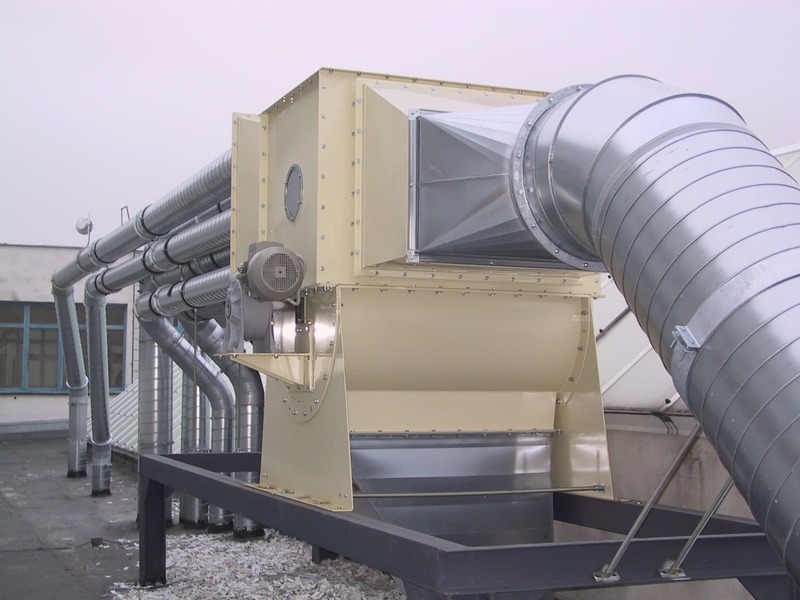 It is possible to return the filtered air back to the workplace to save on heating costs, especially during winter. 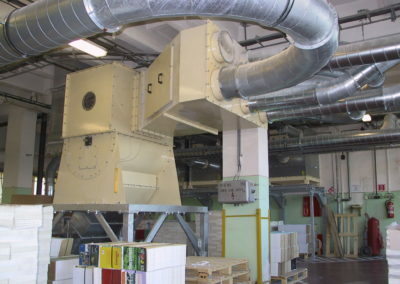 Air extraction technology needs to be adjusted to the explosive nature of paper dust. 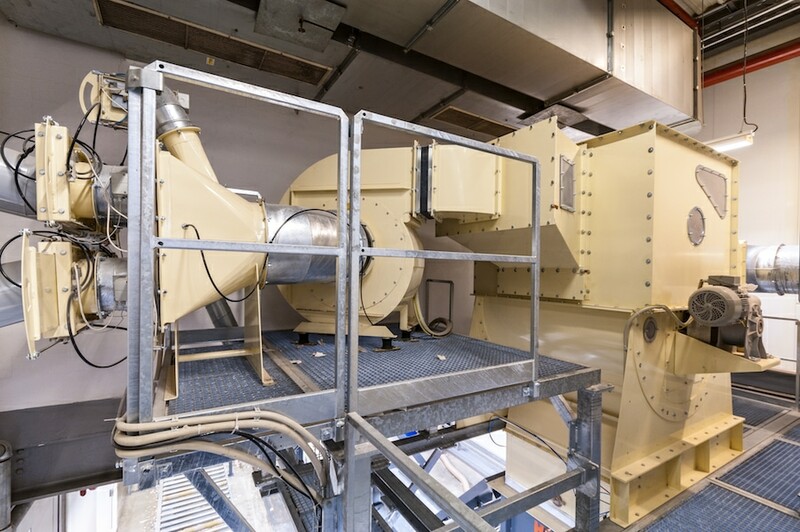 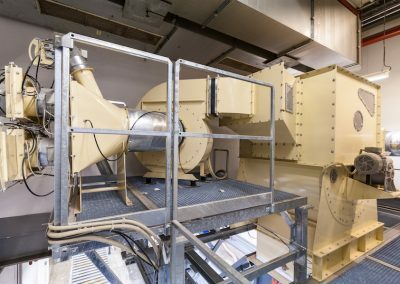 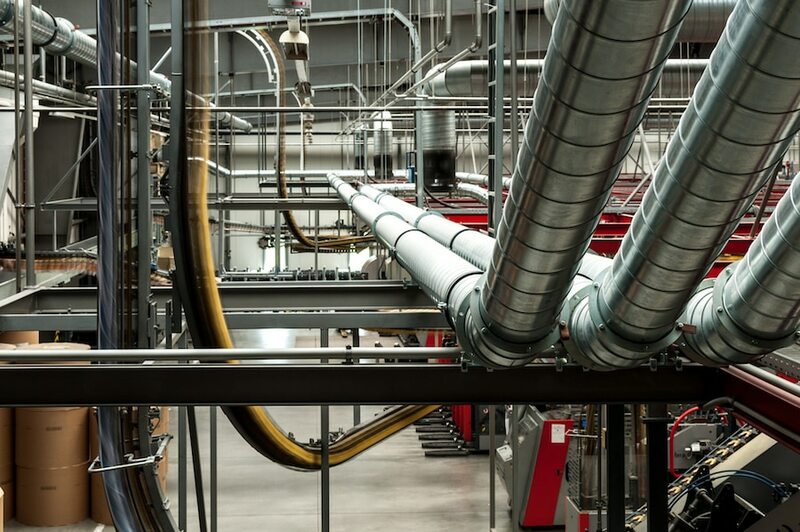 Solutions for these applications must meet these requirements: minimum exhaust speed 20 m/s, electric conductivity of every extraction component due to static electricity produced by dust particles inside air ducts. 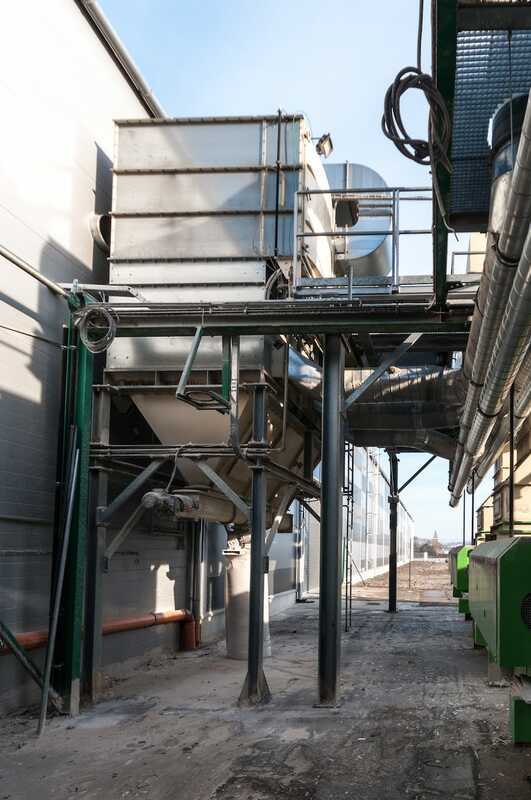 Filtration technology must have protective measures against potential shockwaves. 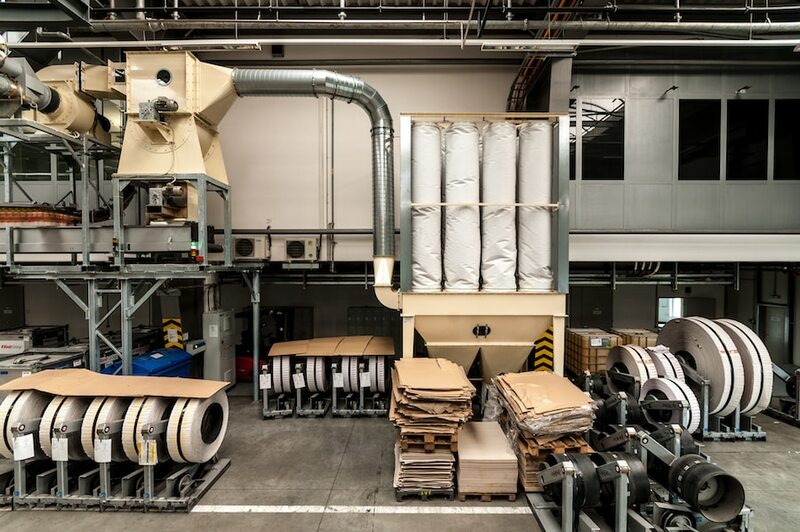 Filter must be equipped with a relief membrane facing to safe space with restricted workers movement. 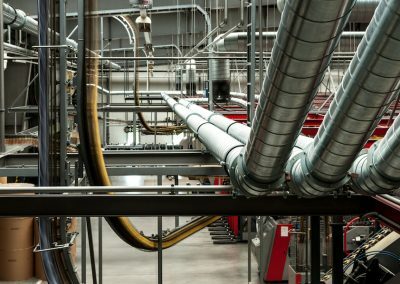 Air ducts must be secured with a safety flap to prevent shockwaves from spreading further into the piping system. 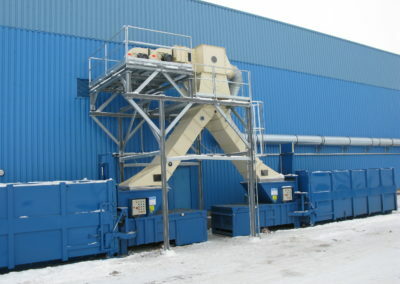 Filtration device, be it CARM GH-ZLD or CUMA D-ST must be pressure-resistant and equipped with antistatic filter medium. 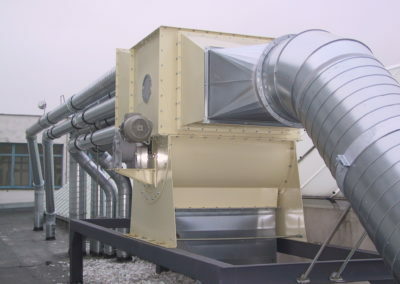 Annual inspections of filter medium safety measures are necessary to ensure safety of the whole system.